Southwark Council has fought vehemently against the Tory-led introduction of affordable rent, i.e. rents of up to 80% market rent. In March 2015 we discovered that 44 social rented units that were supposed to have replaced 54 council homes as part of the Bermondsey Spa regeneration, had in fact been provided by Notting Hill Genesis Housing Association (also responsible for the Aylesbury estate regeneration) as affordable rent at 62% market rent. We also discovered that the high-profile Neo Bankside development had provided 32 social rented homes fewer than the number agreed by the Council’s planning committee. We later discovered that developers and housing associations across the borough were routinely breaching planning approvals, either by substituting social for affordable rent or simply not providing the number of affordable homes required by individual planning consents. By cross-checking planning committee reports, section 106 agreements, Land Registry information, the GLA affordable housing outturn dataset and CORE lettings data, we have compiled a long (but by no means exhaustive) list of breaches identified in affordable housing tenure provision. This causes great concern that the Council is opposed to affordable rent only in appearance - not in practice. We believe that the Council’s administration is turning a blind eye to this practice, which helps it make claims to delivering social housing in the borough, which is nothing of the kind. The list of breaches is by no means exhaustive and we are calling for a borough-wide audit in order to establish the full scale of the problem. We submitted our list to the Council as part of our corporate complaint in December 2015. In July 2016 we finally received a response from Southwark Council to our complaint. We were very disappointed to discover that the Council hadn’t actually investigated the tenure delivery on the sites we identified (it had merely insisted that the S106 agreement wording for each site is sound). We subsequently referred our complaint the Local Government Ombudsman. After a five month investigation, in December 2016 the Ombudsman published a report showing that the Council conducts no routine monitoring or enforcement whatsoever of the tenure mix delivered via S106 agreements. The Ombudsman ordered Southwark to conduct an audit of S106 tenure provision and introduce monitoring/compliance procedures. The Council initially promised that the first 1 year audit would be published in 2017. It didn’t happen. It later explained that the audit was taking time because it was going back to 2010 and promised that it would be completed in Spring 2018. Nearly three years have now passed since the Ombudsman decision and while the chair of the planning committee has promised to look into it, we are yet to see or hear anything of the audit. The following are a few examples of the 43 breaches identified in our list of tenure breaches. In most cases the rents are currently lower than 80% market rent, but still significantly higher than the average £100pw council rents. This redevelopment of the former Colorama film processing warehouse in SE1 was completed in April 2016 by housing association A2Dominion. The planning report for the application said that the redevelopment would provide a total of 19 social rented habitable rooms. However, when the Greater London Authority published its affordable housing outturn data, it showed that the developer had provided affordable rented units not social rented. These range up to 59% market rent and are listed in the GLA dataset as prospective rent levels of £215pw (excl. service charge) for a 1-bed flat, which is well over twice the current average social rent in Southwark (£100 pw). 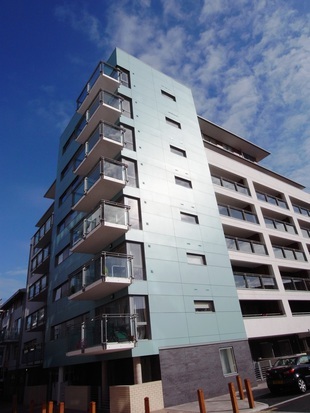 The scheme (now branded the ‘Chroma Buildings’) has completed and new residents moved in. Needless to say, these won’t number any of those on the Council’s waiting list who are desperately in need of social rented housing. The planning committee report (11/AP/1390) for this development approved 38 new homes, of which 9 were supposed to be social rented units. The GLA data shows that these have been delivered by Leicester Housing Association as affordable rents of up to 52% market rent. 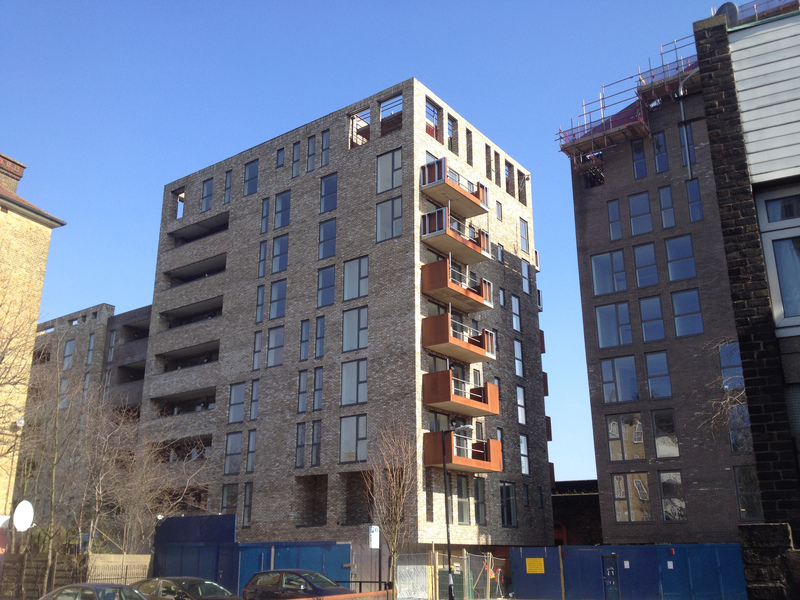 This is one of the Neo-Bankside off-site affordable housing sites, which according to Southwark’s planning committee report (11/AP/0138) approved 22 social rented units, but the GLA dataset shows that these have been delivered by Family Mosaic at affordable rents of up to 49% market rent. Southwark’s planning committee report (11/AP/3251) approved 41 new homes of which 8 social rented, but the GLA dataset shows that these have been delivered by Leicester Housing Association at affordable rents of up to 52% market rent. Southwark’s planning committee report (06/AP/0995) approved 61 new homes of which 7 should have been social rented units, but the GLA dataset shows that these have been delivered by London & Quadrant as affordable rents of between 74% and 78% market rent. Southwark’s planning committee report promised that 7 of these 69 new homes would be social rented, but the GLA affordable housing outturn data shows these as being provided by Leicester Housing Association at affordable rents of 40% market rent. Paragraph 74 of the planning committee report also asserted that the developer would refurbish and extend the neighbouring council-owned Bethwyn Road Playgroup Centre. However, these refurbishment and extension works have not been undertaken. This is the fourth and final phase of the Coopers Road estate regeneration, which saw a block of 12 family maisonettes demolished. The planning committee report (12/AP/3201) confirms that of the 47 new homes in this development, 9 should be social rent and 2 let at affordable rent. The GLA data shows that the 9 ‘social rented’ units are being let by Peabody as affordable rent at 37% market rent. The planning committee report (11/AP/0217) confirms that six of the 37 new residential units in this development were to be social rent (5 x 3-beds, 1 x 2-bed). However, the section 106 agreement defines social rent using the affordable rent definition and the GLA data shows these as having been provided at levels of up to 40% market rent. The planning committee report (12/AP/0164) approves 46 units of which 38 private, 7 social rent and 1 affordable rent capped at 65% market rent. However, in the section 106 agreement for this application, the social rented units are described as ‘affordable rent’ and the GLA shows all units as affordable rents of between 27% and 58% market rent. In Jan 2016, Hyde advertised a 3-bed ‘affordable’ unit in this development for rent at £1,849 per month. The planning committee report (14/AP/2102) for this Linden Homes development (on former council-owned land confirms that this site was to provide 167 residential units, of which 34 were to be social rent. However, housing association Wandle’s brochure lists these 34 units as affordable rent. The London & Brigton Pub on the corner of Queen’s Road/Asylum Road in Peckham dated back to 1863. The pub was demolished in 2013 after Wandle housing association was granted planning permission for a development which would provide 12 new homes, of which 6 would be much-needed affordable homes for Southwark residents and 3 of these would be social rent. However, the government’s CORE system for social housing lettings data shows that these 3 homes have been let at affordable rent of up to 80% market rent, rather than social rent. Demolished London & Brighton pub replaced by Wandle flats. This development was built on the site of a former old people’s home. The Council sold the site (at cost) to Affinity Sutton housing association as it was designated as a replacement housing site for decanted Heygate tenants. The development was completed 5 years after the last Heygate tenant was decanted and the 76 social rented homes consented were described as ‘affordable rent’ in the S106 agreement. The government’s CORE system is showing only 45 units let at social rents at this site. This application was made by Notting Hill Housing Trust, for the redevelopment of 54 council homes as part of the Bermondsey Spa regeneration and was approved by planning committee On 21st December 2010. Permission allowed for the demolition of a number of Council homes and construction of 205 new homes, some commercial and community premises and associated works. Our 2015 blog post covers the development in more detail, showing how the 44 social rented homes were provide at affordable rents of up to 62% market rent. This is the one scheme that the Council has responded to in our complaint. It considers the matter resolved, partly through having secured a number of social rented units from Notting Hill Housing Trust at its Manor Place depot development. However, these units were required to meet the affordable housing quota for that site and therefore cannot be used to offset the shortfall at the Bermondsey Spa redevelopment (there remains a net loss of social rented housing across the two sites). Notting Hill Housing was supposed to provide 22 social rented homes as part of its redevelopment of the Silwood estate involving the demolition of 57 council homes and construction of 127 new homes. The the definition of social rented in the section 106 agreement is worded as affordable rent and the CORE lettings data system shows that only 19 units have been let at social rent levels. The above examples show that until such time as there has been a borough-wide s106 audit, enforcement action taken and procedures put in place for ongoing monitoring of compliance, then use of the term ‘social’ or ‘target rent’ in Southwark must be assumed to mean affordable rent.